Discussion in 'Amps and Cabs' started by dave12, Feb 23, 2012. Love their tone and this get's me excited for my Morgan Dual 40 coming at the end of March. I remember them playing our Church before they hit it big. One guy had a fender Hot Rod Deville and an Orange AD30 combo. I do enjoy their music. Very cool. Interesting...they moved on from the Dr. Z rig. These guys are really great. A must see, if you ask me. As a former label mate, I've been lucky to see them live numerous times. 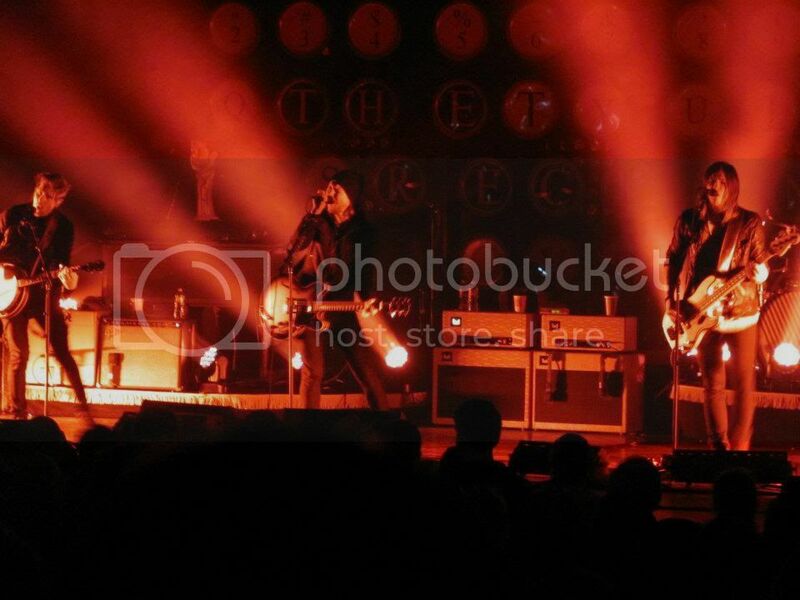 I really like needtobreathe cool to see what gear they're using. That's an awesome picture. I'm a big fan of their songwriting and tone. How come though the amp on the left is lit up, but not mic'd, and the amp on the right is not lit up, but mic'd? Haha...I thought the same thing. Maybe they have them wired to the opposite cabs or just to one cab? I think they write some awesome melodies and really great songs. That's really cool. Huge fan of their music.